Fish Mate PUV + BIO Pond Filters provide UV clarification to destroy algae in addition to mechanical and biological filtration resulting in beautifully crystal clear healthy water. 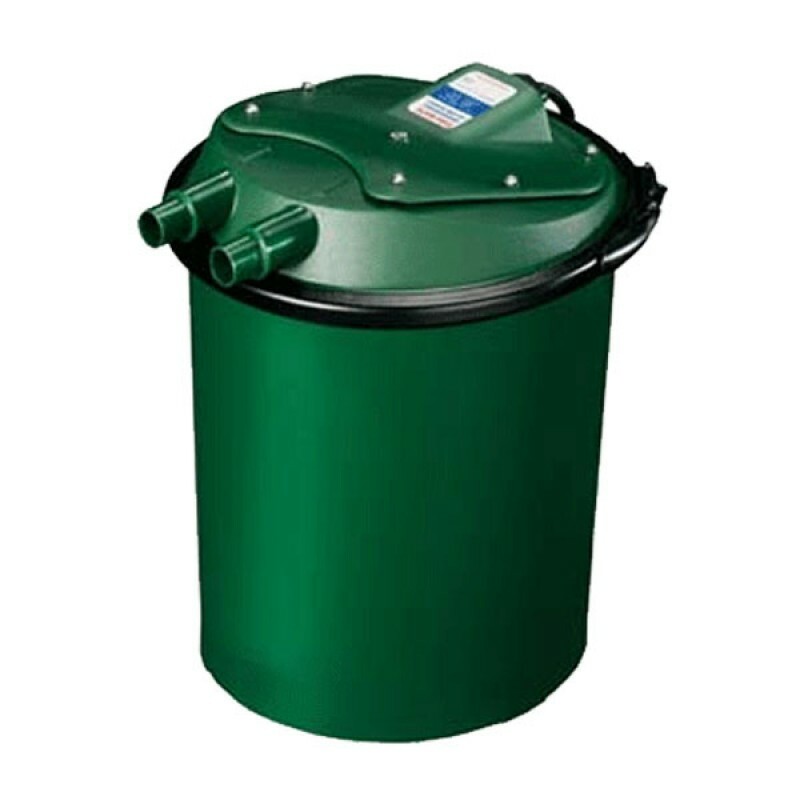 Bio Pond Filters provide powerful mechanical and biological filtration: profiled sponge pads catch algae clumps and large particles, and SUPRA bio media rapidly colonises beneficial bacteria to remove lethal nitrite and ammonia from the pond. Pond water undergoes a 3-stage purification process in the Fish Mate P-UV Pond Filter.